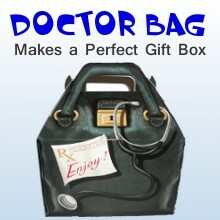 Our Kids Doctor, Nurse, and Scientist Costumes are Authentic Uniforms just like a real Doctor or Nurse wears. 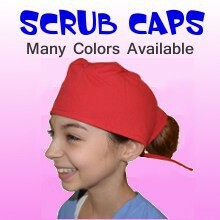 Kids Doctor Costumes.com will never stock or sell inferior "Costume Quality" products made with a non-woven material like our Competitors offer. Add Personalized Embroidery and make it a special gift. 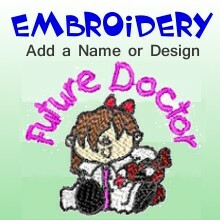 We pride ourselves in offering the finest quality Kids Doctor Costumes available anywhere, it's our specialty. 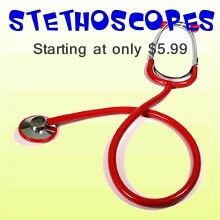 Kids Doctor Costumes.com offers a 30-day Money back Guarantee on all Kids Doctor, Nurse, Scientist, Veterinarian, Pharmacist, Dentist and Artist Costumes. If you are not completely satisfied with your Costume just return it within 30 days of delivery for a full refund. (Embroidered Items and Shipping Charges do not apply) All of our Kids Costumes are made with the best quality Cotton/Polyester fabric and premium stitching. Copyright © 2018 Kids Doctor Costumes. All Rights Reserved.